Indiana was easy to be attracted to. When first saw him still on pasture as a calf, he had more of the 'herd bull look' than any calf around him. He had and continues to boast a very charismatic head, adding to his easing calving ability. Indiana is long spined, and heavy hipped. He is a free and easy mover, and built perhaps a ribs length longer than bulls like Beef 465A. His first calf crop didn't disappoint, his calves were catchy, full of style, and had a very showy phenotype. Performance also seems to be a strong trait for Indiana, and we think he will be a consistent, and strong breeder at Redline. 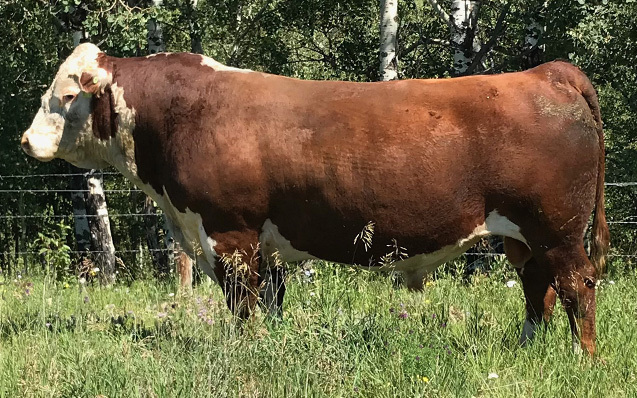 We are currently breeding him to purebred and commercial females, hoping we can retain as many heifer calves out of him as possible. 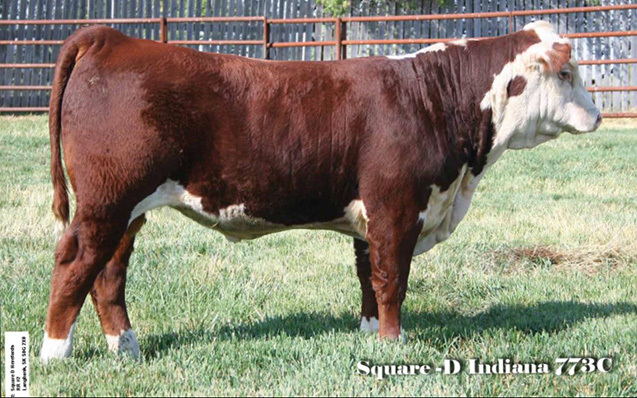 His dam is one of the Dukes strongest herd Matrons, and has raised some of their show-stopping calves each year in their production sale.